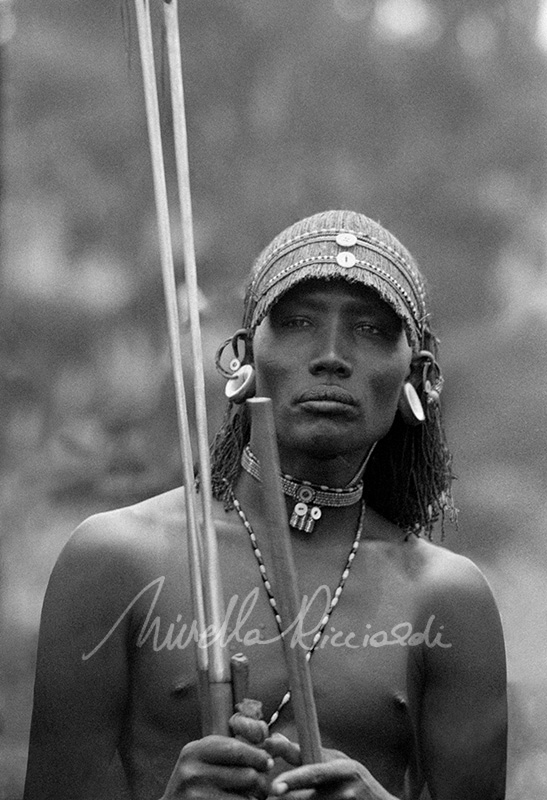 MR3756 “Young Samburu murran (warrior)” most renowned for their bravery. The Samburu are a Nilotic people of north-central kenya that are related to but distinct from the Maasai and semi-nomadic pastoralist who herd mainly cattle but also keep sheep, goats and camels. One of Mirella Ricciardi rare first images.